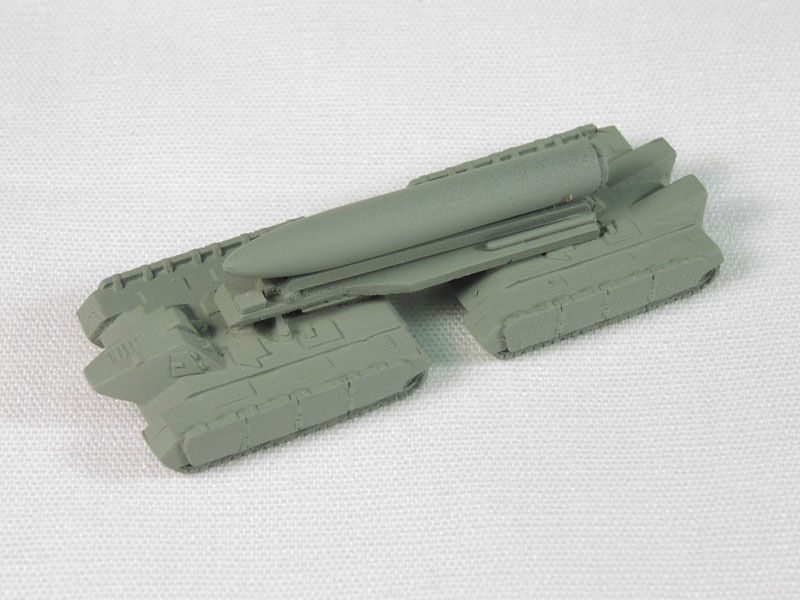 Back when Ral Partha was doing the Ogre miniatures, there was one for the Paneuropean Missile Crawler. It's not currently available, and we never got around to making one for the Combine side at all. So long-time Ogre fanatic Joe Revesz built this one out of other Combine minis. That's some mighty fine conversion work. If you'd like to see more CMCs, and more of Joe's miniatures, check out his annual Ogre game at Origins. It's a blast for grognards and newbies alike.